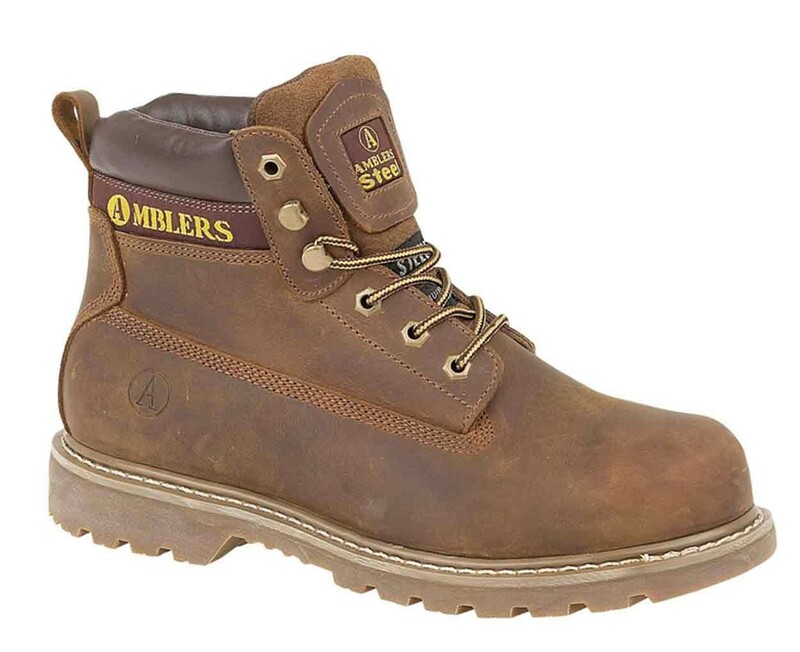 The Amblers Steel FS164 is a hardwearing industrial safety boot with oil-resistant sole. It features three main eyelets and two speed lacing hooks and an optional ankle-high eyelet for an extra-secure lace fit. It gives extra comfort by the padded collar and handy pull-on loop. It benefits from a Goodyear Welt construction renowned for it’s strength and durability. It features a tough steel shank in the midsole giving utmost protection.